Trump - the monkey was right! 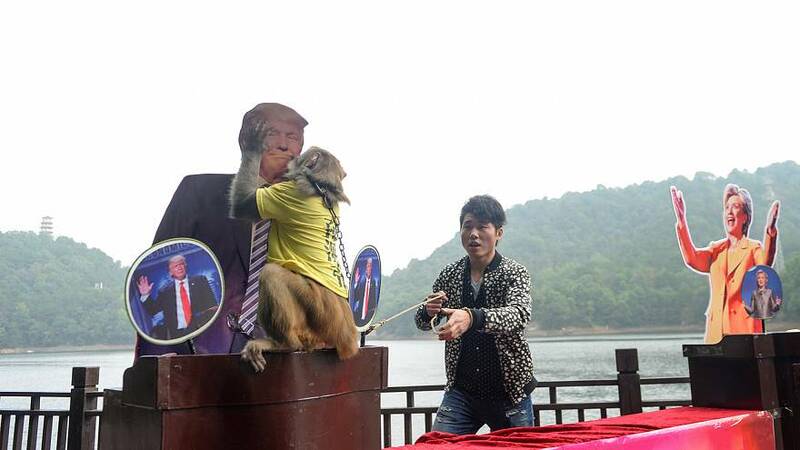 A Chinese monkey described as “king of the prophets” tipped Donald Trump to be the next US president last week. 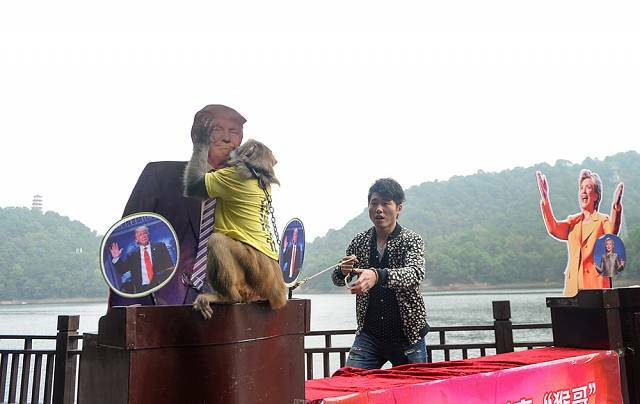 Geda – the simian seer was given the chance to pick between bananas at the Shiyan Lake Ecological Park in Changsha County. The fruit was strategically placed beside life-size cut-outs of Trump, the Republican candidate, and his Democratic challenger, Hillary Clinton. After what is described as “deliberate thought”, the mystic monkey – whose name means “knots” or “goose bumps” – chose Trump. He sealed the deal by congratulating the cardboard candidate with a kiss on the lips. Does Geda have a good record? The prophetic primate correctly predicted Portugal would win the 2016 European football championship in July.